Zoar Village, located in East Central Ohio, was founded in 1817 by German immigrants escaping religious intolerance in their own country. Today, the village looks more as it did in the early 19th century. It's still a working village, but many of the homes and businesses are now owned by the Ohio Historical Society and open to visitors. The Village of Zoar was founded in 1817 as a communal society by a group of German religious dissenters. The fortunes of the village were aided by the digging of the Ohio-Erie Canal in the early 1820s, as it provided work and the state bought some of the community's land as rights-of-way to the canal. Today, approximately 200 people live at Zoar. Ten of the restored buildings at Zoar welcome visitors. Among these are the Kitchen/Magazine complex, the Garden House, the Bakery, and the Blacksmith Shop. Costumed interpreters are stations at each building to tell the history of the site. Volunteers also give craft demonstrations during the many annual events. Zoar Village hosts a full schedule of events throughout the year. Highlights include reenactments, a fall harvest festival and the December Christmas at Zoar festival. Zoar Village is located 2.5 miles east of I-77 at State Route 212, between Canton and New Philadelphia, about two hours south of downtown Cleveland. 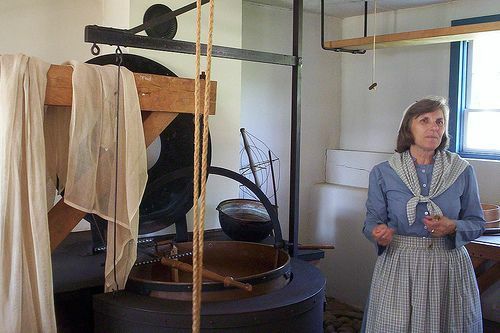 Zoar Village is open in April, May, September, and October on Saturday from 9:30 am to 5 pm and on Sunday from noon to 5 pm. From Memorial Day weekend to Labor Day, the village is open Wednesday - Saturday from 9:30 am to 5 pm and on Sunday from noon to 5 pm. Zoar Village is closed to visitors from November through March except for holiday events. Admission is $8 for adults and $4 for children ages 6-12, including parking. Discounts are given to seniors, AAA members, and members of the active military and their dependents. There are several hotels near I-77 in Canton, north of Zoar, as well as a selection of small inns and bed & breakfasts in and around Zoar, including the Zoar School Inn on Main Street.